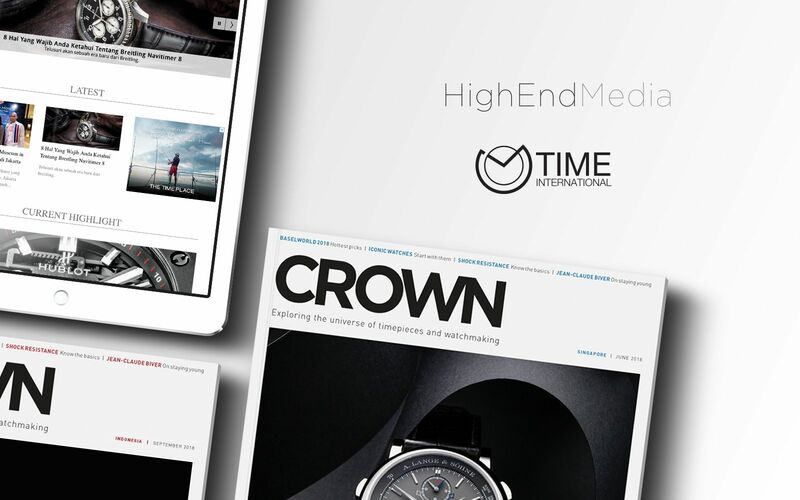 HighEnd Media, the independently owned multi-platform luxury media and creative services group, appoints Time International as its partner in Indonesia to develop the CROWN brand in the country. Time International launched CROWN online portal, Crownwatchblog.id in 8 June 2018, and will follow up with the country-specific edition of CROWN magazine in September 2018. CROWN Indonesia will be CROWN’s fourth regional edition following its success in Singapore, Malaysia and Vietnam. With the new partnership, Time International will grow the CROWN brand across multiple platforms and gain readership through CROWN’s distinctive print and digital content. Published in Bahasa Indonesia, CROWN Indonesia will be a trusted source of information for the watch enthusiasts, collectors and the next generation of first time watch buyers. Established in Singapore in 2013, CROWN is Southeast Asia’s fastest growing watch media brand. CROWN’s regional network currently includes publications in Malaysia and Vietnam, with sights for future market expansion. Headquartered in Singapore, HighEnd Media was founded by entrepreneur David Leppan in2012. The multi-platform media and creative services group publishes Billionaire, an affluent lifestyle magazine and digital platform as well as horological resource CROWN and its digital platform CrownWatchBlog. Time International has the largest service centre in Jakarta, Time Care and Watch Care, complete with state-of the-art technology providing professional after-sales care for all brands sold from the retail outlets. For more information, visit www.timeinternational.co.id and follow the latest news on Instagram at @time.international.